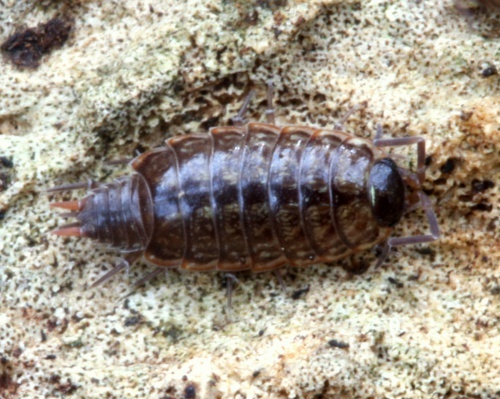 Maximum length 11 mm. 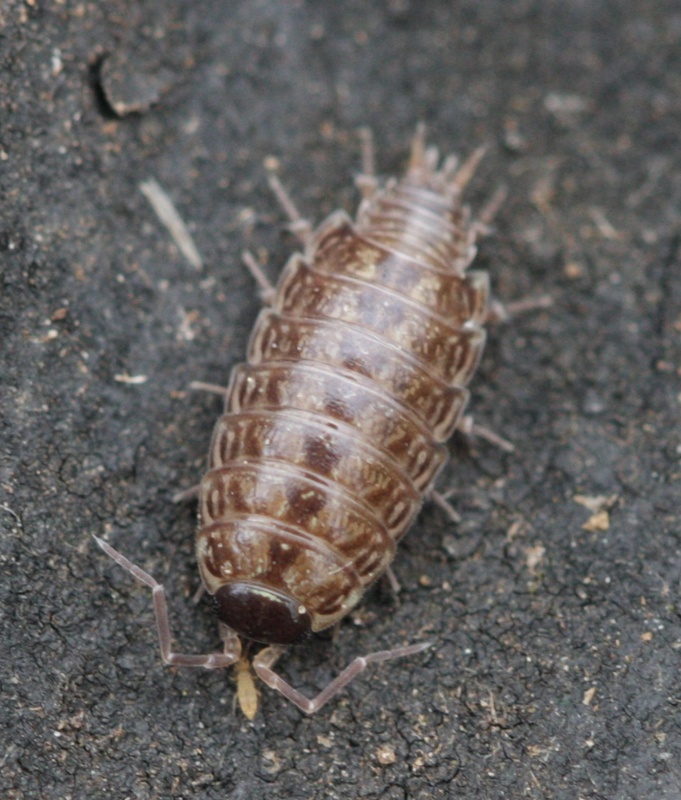 This species is usually yellowish or brownish in colour and mottled with pale patches and a black head. 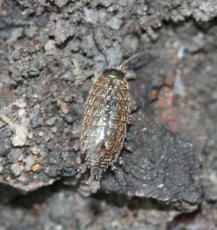 As the name suggests it has a dark stripe along the back. 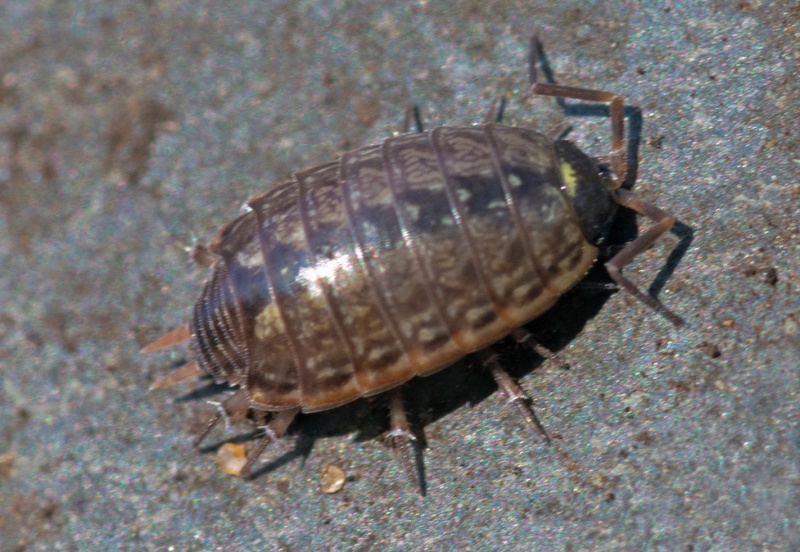 It has a characteristic 'stepped' outline where the pereon changes to the pleon. 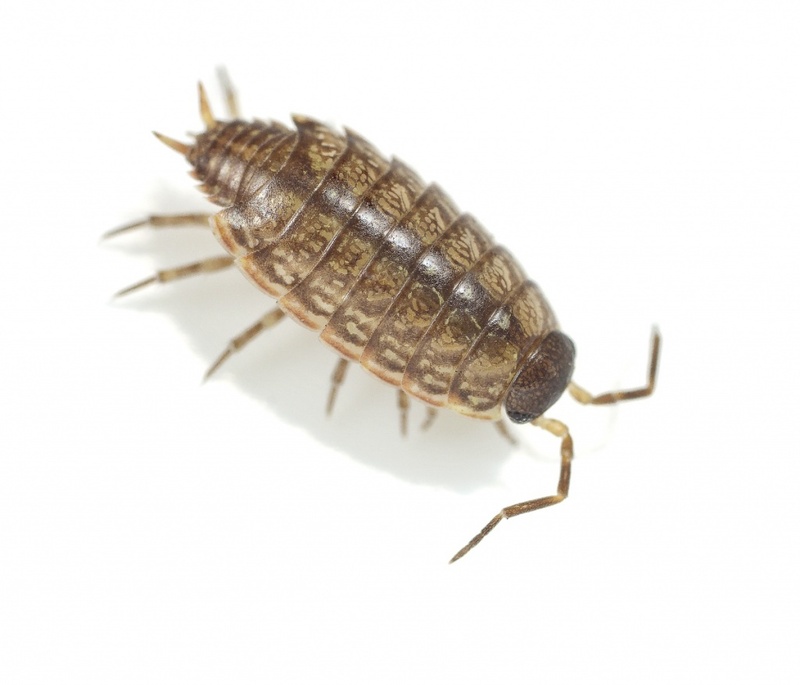 It tends to run fast when disturbed. 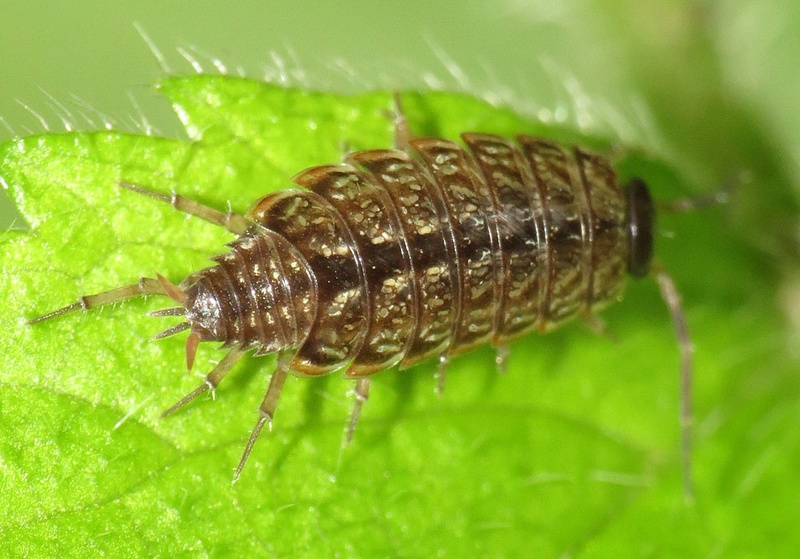 Antennae have three flagellal segments at the tip. Various habitats, particularly common on grassland. All year round but mainly seen from spring to autumn. 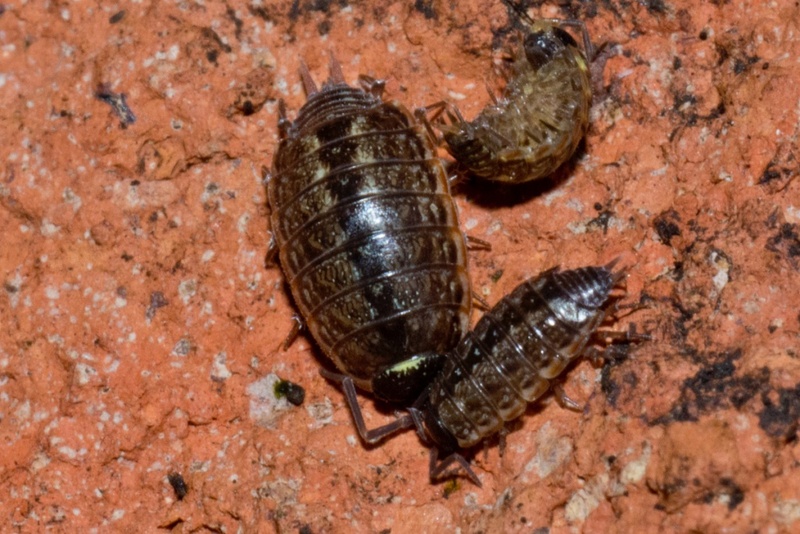 Mating tends to take place at night. When a male finds a receptive female, he climbs onto her back and drums her with his front legs whilst 'licking' her head with his mouthparts as a prelude to mating. 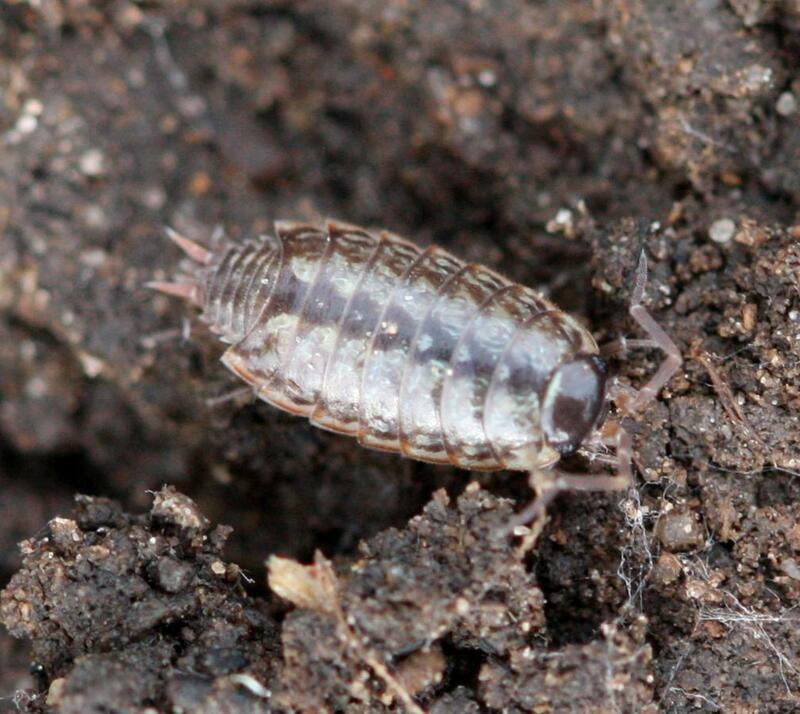 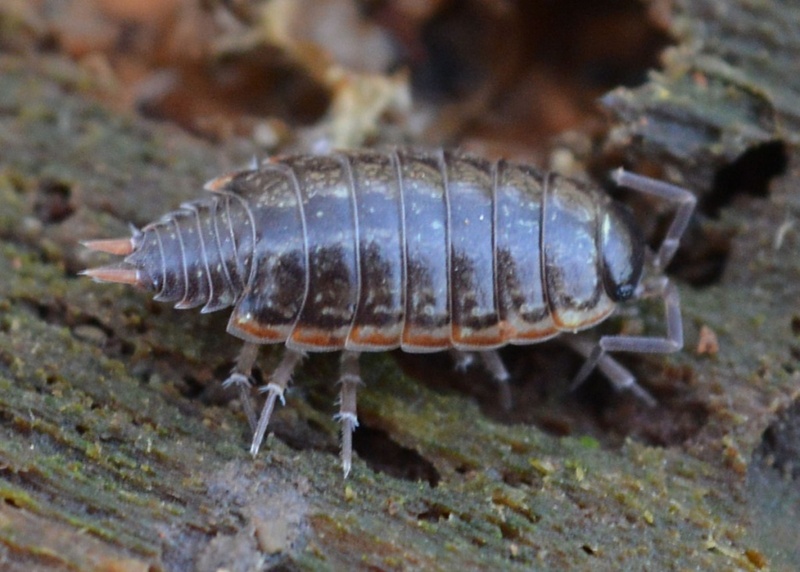 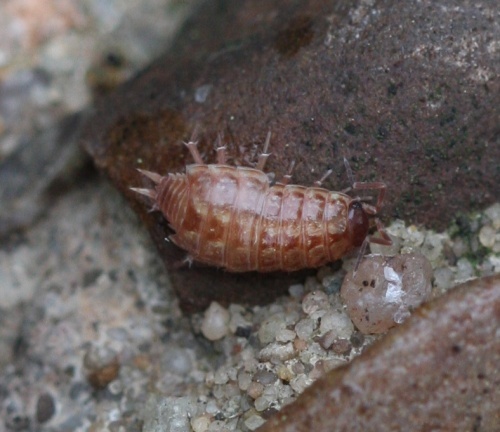 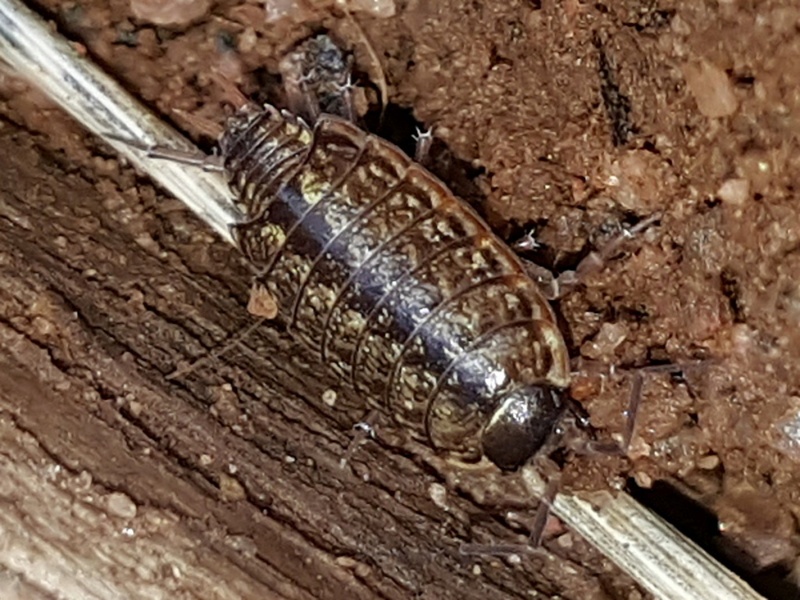 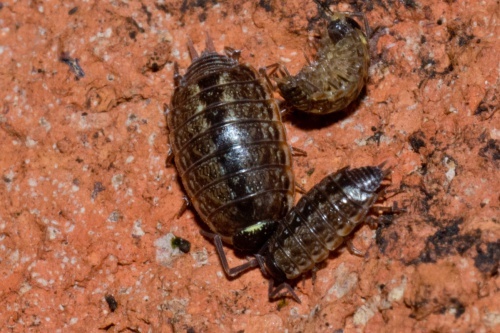 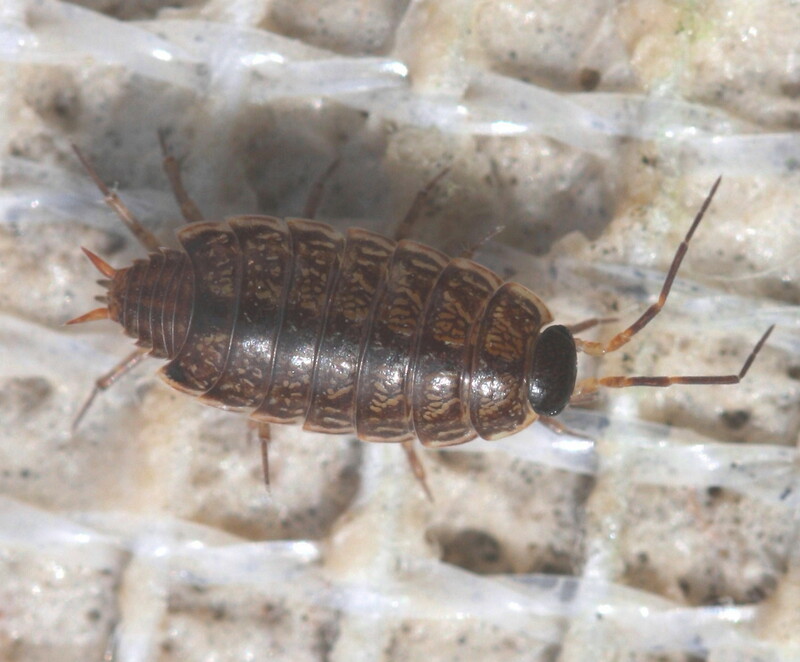 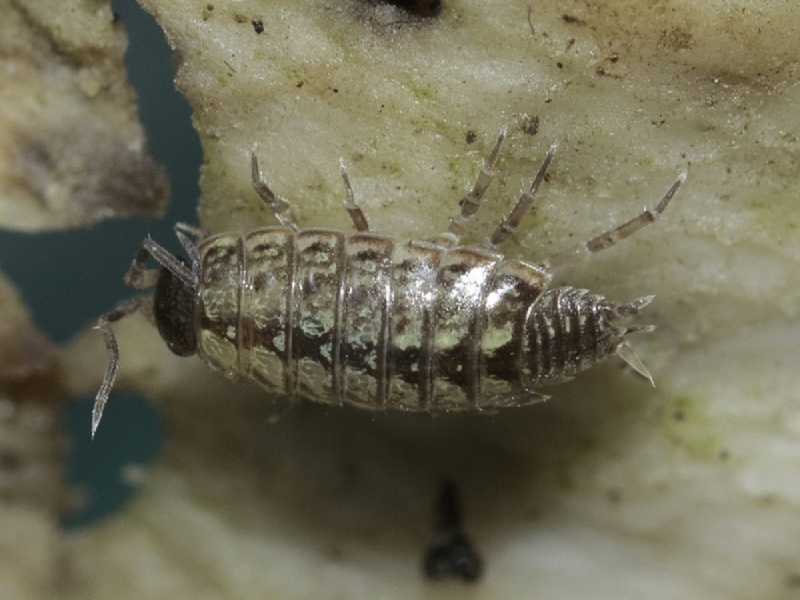 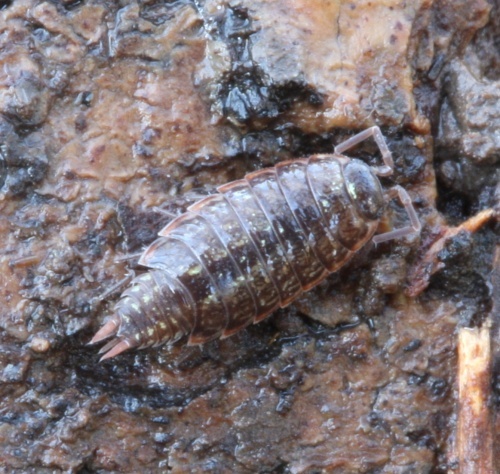 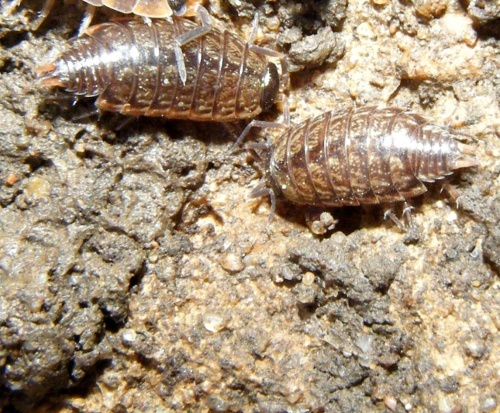 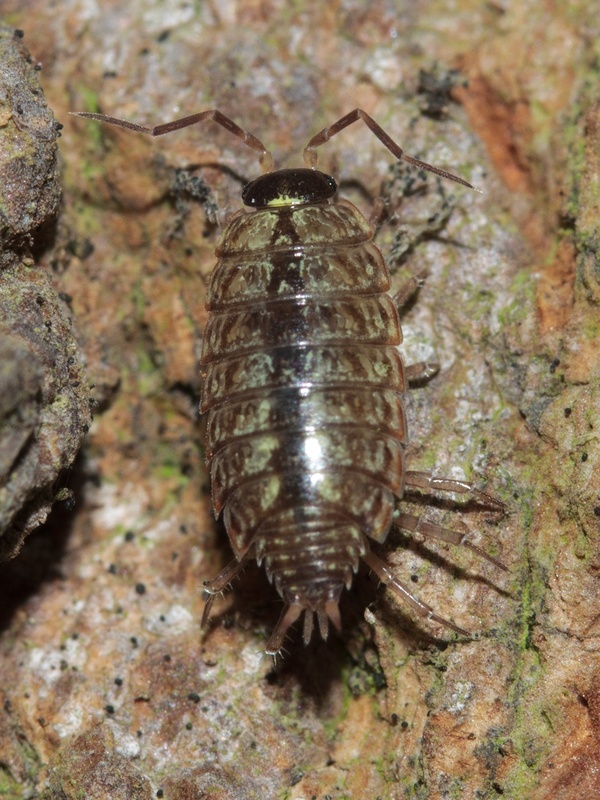 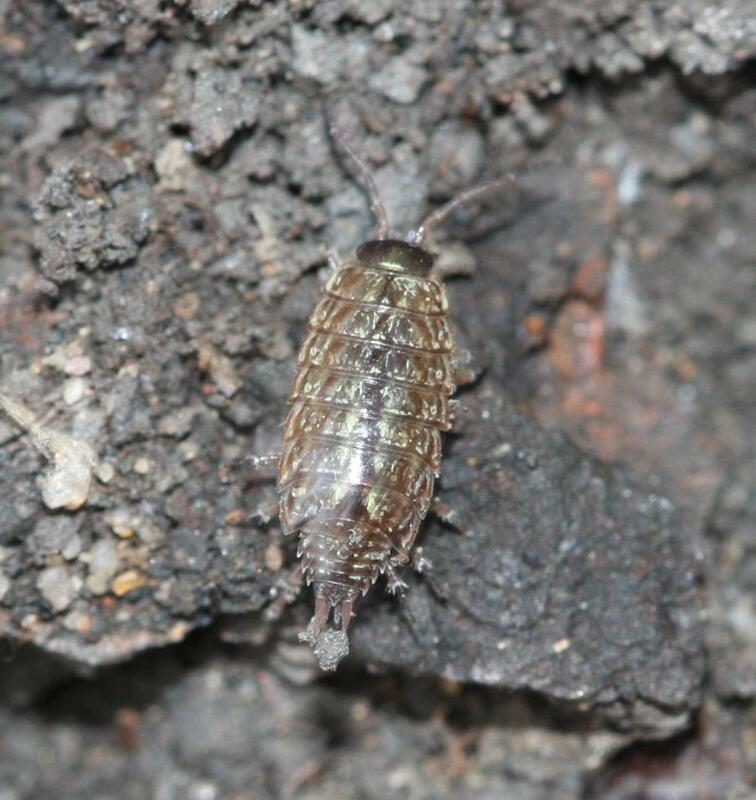 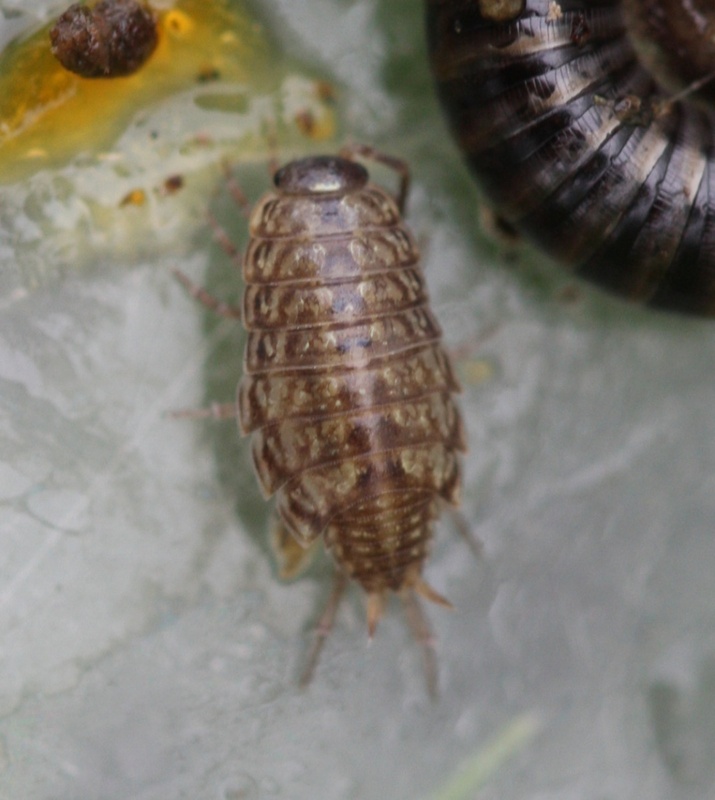 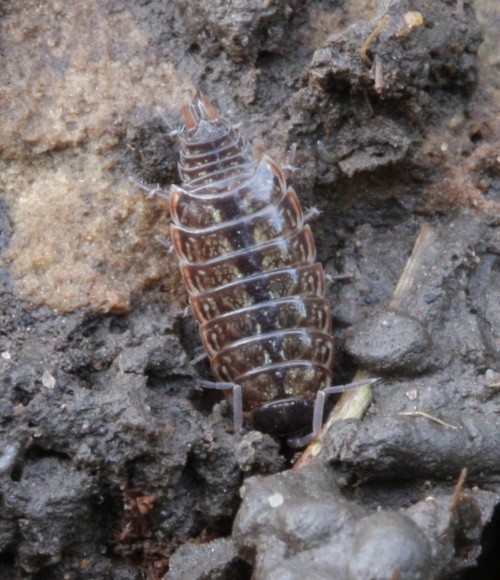 This woodlouse is very common and widespread in Britain.